But it was important for all four of our visitors – Drs. Ya Liu, Xiaoju Ma, Wen Xue, and Pan Li – to travel 10,000 kilometers to come to Queen’s because our university and their hospital share something very important: history. Specifically, our histories converge in the life and work of one man, Dr. Omar Leslie Kilborn. 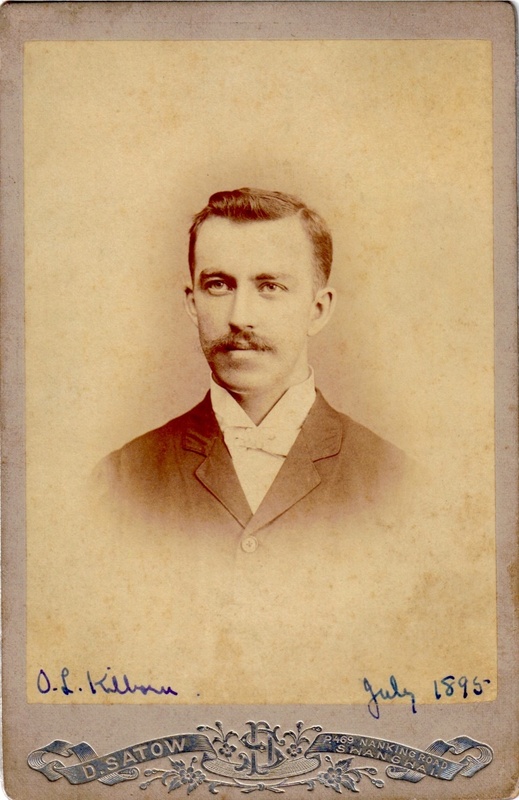 Dr. Kilborn graduated with both his bachelor’s and his MD from Queen’s, and, in 1891, he left Canada for western China as a medical missionary. His goal was to open a series of clinics in the region in order to make healthcare more widely available to the people there. His first clinic opened its doors on November 3, 1892, but Dr. Kilborn was far from finished with his work. He went on to open a number of other clinics and hospitals, including a hospital for women and a stomatology clinic. Perhaps most importantly, though, Dr. Kilborn helped establish the Medical College of West China University. Our visitors from Chengdu trace the history of their hospital back to one of the hospitals that Dr. Kilborn founded during his time in Sichuan. Today, the Chengdu Second People’s Hospital now has well over 500 beds, takes referrals from all over the area, and has a wide range of specialists. It seems safe to say, then, that Dr. Kilborn’s goal of spreading access to healthcare in China has been realized in ways that he could not have even imagined. I must confess that I was unaware of this history before the members of the hospital reached out to me over the summer. In their initial email to me, they told me a little about Dr. Kilborn and his work, and they said that they wanted to come to Queen’s as part of a visit to their roots. To pay their respects to Dr. Kilborn and his legacy, they wanted to visit the university that trained him and connect with people who continue to carry out the mission of the school. Moreover, they wanted to tell the story of their history, to let those of us at Queen’s know how large of an impact that Dr. Kilborn had on healthcare and education in their region. It is not every day that I receive such a request, so my interest was piqued immediately. My staff and I worked to find a date that would work for both our visitors and us, and we all decided on November 7th. That morning, I had a long meeting with them in which they told me about both the history of Dr. Kilborn’s medical work in Chengdu and the current work of the Chengdu Second People’s Hospital. Frankly, I was moved by the passion and admiration with which our visitors spoke of Dr. Kilborn. Being on the campus of the university that he attended was clearly a highly meaningful experience for them. And their enthusiasm rubbed off on me. After our meeting, I had a renewed appreciation for working at Queen’s, a university that has touched the lives of so many people around the world. After their meeting with me, Dr. Michael Fitzpatrick, Chief of Staff at Kingston Health Sciences Centre, graciously took our visitors on a tour of Kingston General Hospital, where they learned about our relationship with the hospital and the work that is being done there. This meeting also provided all parties with a chance to have productive conversations about similarities and differences between healthcare in Canada and China. Since I knew that our visitors from Chengdu were going to share their history with us, I asked Dr. Jenna Healey, our Jason A. Hannah Chair in the History of Medicine, to meet with them in the afternoon in order to share our history with them. Dr. Healey took our guests on a historical tour of the campus, pointing out some of the buildings and objects that remind us of our roots. The highlight of this tour was the Old Medical Building, where Dr. Kilborn received a large part of his medical education. Our visitors lingered there a little longer than they did anywhere else, trying to soak up as much of the history of the location as they could. They even took a short video of Dr. Healey standing outside the building, explaining some facts about its past. This visit reminded me of how important it is to remember our history and to keep in mind those we share it with. 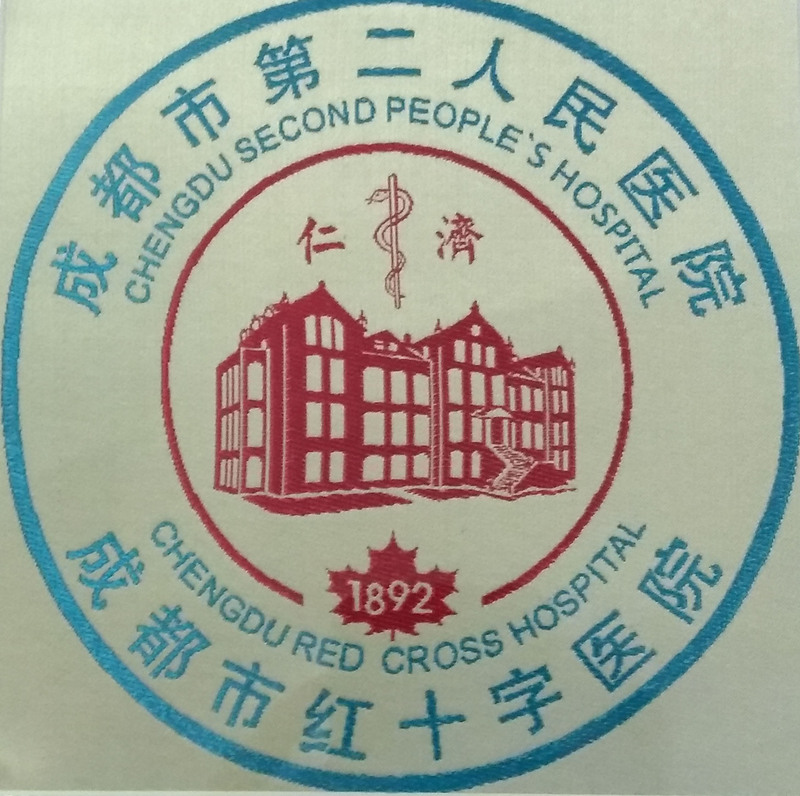 Until our visitors reached out to me, I had no idea that a large hospital in Chengdu traced its roots back to a clinic started by a nineteenth-century Queen’s graduate. Now, I see the Chengdu Second People’s Hospital as a part of our broader network, as a place with a rich historical connection to Queen’s. During our meeting, both the representatives of the hospital and I agreed that we would like to keep in touch and develop meaningful ways to commemorate our shared history. The Chengdu Second People’s Hospital is currently developing a new expansion, and they are planning on building a small museum to honour their past. As a gesture of goodwill, I am trying to think of an object that we might share with the hospital to display in their museum – something that captures the history of Queen’s at the time when Dr. Kilborn studied here. If you have any ideas for a meaningful object that we might share with the hospital, please let me know in the comments below. Great to read this, Richard! I paid a brief visit to the hospital in Nov. as a side trip of my participation of a SelectCanada event organized by Canadian Consulate General in Chongqing in Nov. after the 4 doctors visit to you. I have to say that it is very impressive of what they have done there in Chengdu to well-remember the founding father(s) who introduced Western Health Care and Medical Education to Sichuan in Western China, with the passionate/professional tour guide of Mr. MA Xiaoju. That's great to hear, Zhiyao. Thank you for the update, and I am glad that you enjoyed the blog. Can we learn more of Dr. Kilborn and of what inspired him to dedicate his life to the care of the Chinese people? Great question, Thomas. Thank you for your interest in this story; I'm also excited to learn more about Dr. Kilborn. When I've done some more reading myself, I might revisit your question in a future blog. That's great to hear, Jeff. I look forward to learning more about your project on Kilborn some day. Good luck with your work!